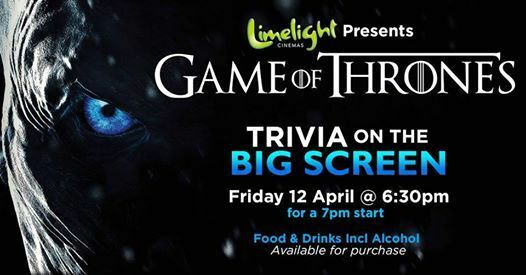 Come test out your Game of Thrones knowledge 3 days before Season 8 airs on TV! Calling all Lords, Ladies, Kings, Queens, Knights, Dothraki, and Wildlings! Winter is coming. How well do you know the Starks, Targaryens, or Lannisters? 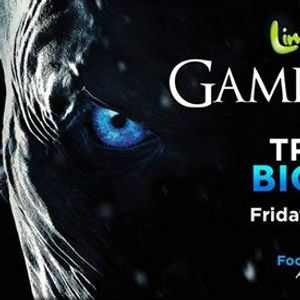 Gather your Alliances, Loyal, Noble families, and fight to claim the throne of the Seven Kingdoms before the impending winter that threatens all the realm…finally, eventually, at last, sometime in the near future comes…after 67 episodes. All tickets are $15, with food (including Pizza and alochol) available on the night for purchase.